No need to get a gift box, this beauty is already wrapped up in a bow. At the center, glowing a deep blue is a brilliant, blue Scienza® sapphire, our color-rich, lab-created soulfire that flickers brighter than mined sapphires... and at a fraction of the cost. Popping with brilliant green amid pavé set lab-created DiamondAura® rounds are 14 chrome diopside gems. When it comes to beauty, chrome diopside packs a powerful punch. 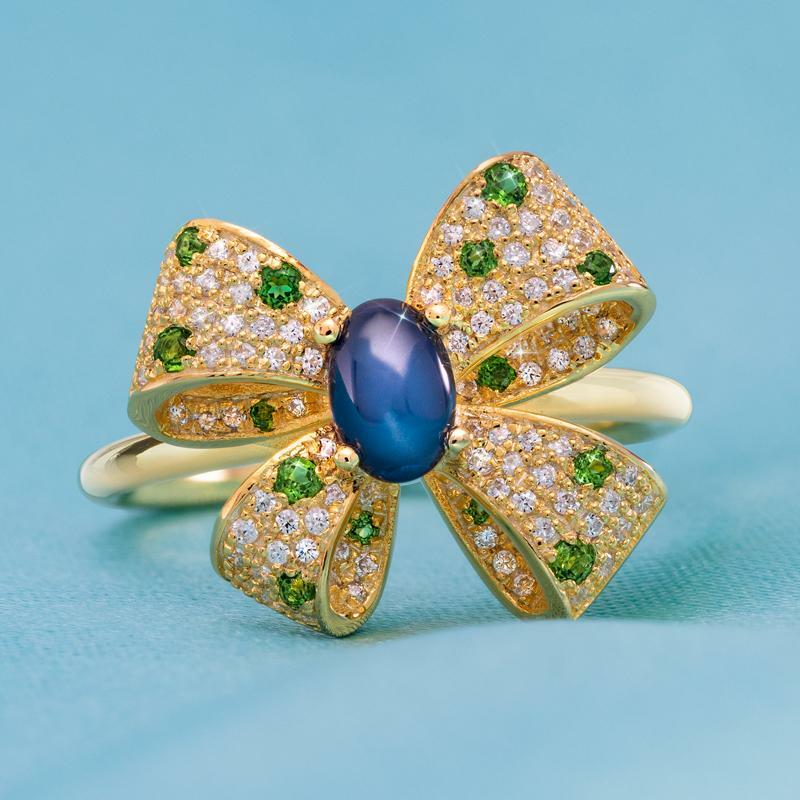 It boasts nearly double the refractive index of emerald (which is jeweler’s code for double the sparkle) and some have described it as having the color “that emeralds only dream about.” Set in gold-finished sterling silver, this effortlessly elegant ring is the perfect gift for the one who has you wrapped around her finger.